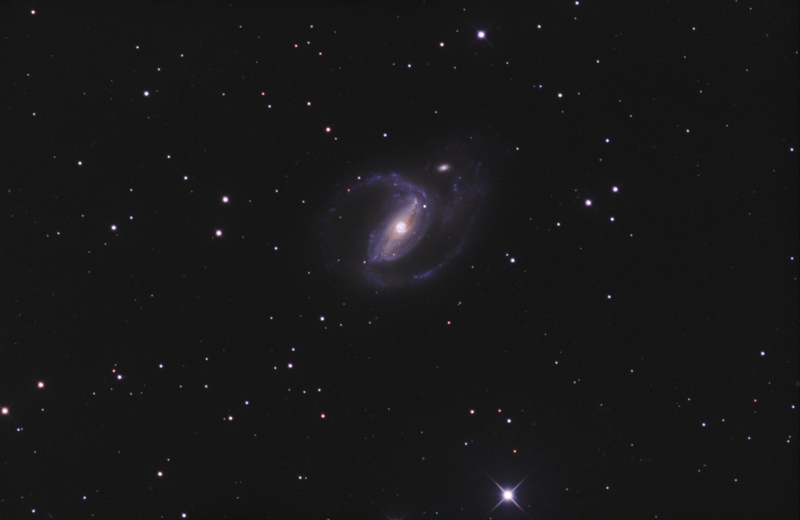 NGC 1097 is a barred spiral galaxy about 50 million light-years away in the constellation Fornax. NGC 1097 has two satellite galaxies. Dwarf elliptical galaxy NGC 1097A is the larger of the two. It is a peculinar elliptical galaxy and clearly visible to the north of NGC 1097.